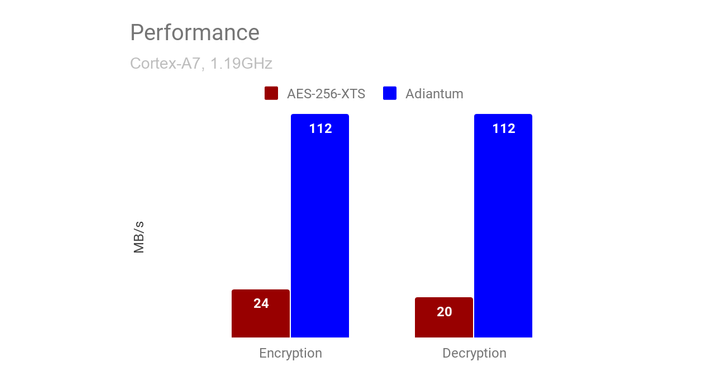 To solve this issue, Google has once again stepped forward, this time with "Adiantum," a new form of efficient storage encryption that has been designed to protect local data without slowing down devices that don't support hardware-accelerated cryptography. 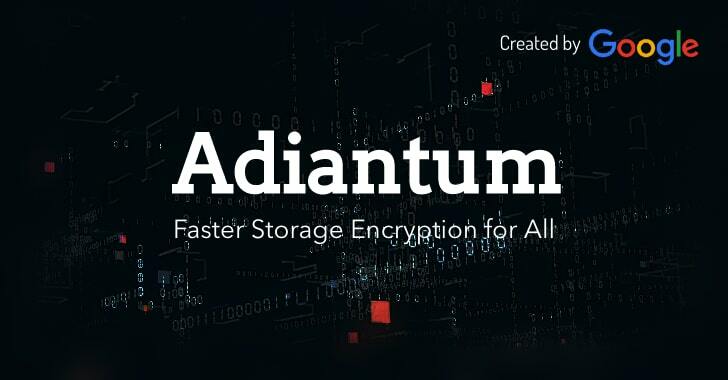 "Adiantum allows us to use the ChaCha stream cipher in a length-preserving mode, by adapting ideas from AES-based proposals for length-preserving encryption such as HCTR and HCH," Google said. "On ARM Cortex-A7, Adiantum encryption and decryption on 4096-byte sectors is about 10.6 cycles per byte, around 5x faster than AES-256-XTS." "Our hope is that Adiantum will democratize encryption for all devices," Eugene Liderman, Director of Mobile Security Strategy at Android Security and Privacy Team says. "Just like you would not buy a phone without text messaging, there'll be no excuse for compromising security for the sake of device performance." With Adiantum, Google is looking forward to making the next generation of phones and smart devices more secure than their predecessors by allowing everything—from smartwatches to Internet-connected medical devices—to encrypt users' sensitive data without compromising on the performance.